Instagram King, Dan Bilzerian, was one of many people who witnessed the shooting in Las Vegas on the 1st of October, Sunday. The professional poker player, 36, shared a series of videos on his Instagram account after a gunman opened fire on a crowd at the Route 91 country music festival on the 32nd floor of the Mandalay Bay Resort and Casino. According to reports, 58 people have been killed, and more than 500 were injured making it the worst mass shooting in US history. Bilzerian said to his followers on his social media account that he saw a woman get injured and it was “so f**king crazy” as gunfire is heard in the background. He added that he went back an hour later after obtaining a gun, “I had to grab a gun. I’m f***king headed back. It’s f**king crazy. The f**king guy had a heavy caliber or whatever.” Not long after, Dan went home because “there wasn’t much he could do” in his own words. Dan – who is known for his ostentatious social media presence – is a gun rights advocate, as he posted an extensive collection of his weapons in 2013 on his social media. He added that “someone just got shot” and Dan ran away from the scene. However, some have noted that there isn’t much for the man to do against a heavy caliber-style weapon. Police identified the perpetrator as Stephen Paddock, a 64-year-old man from Mesquite, Nevada. Police claimed he died from a self-inflicted gunshot wound. He opened fire during Jason Aldean’s performance, who is currently ok as well as all the members of his team. It’s a tragic day in American history; we send out our condolences to those affected. 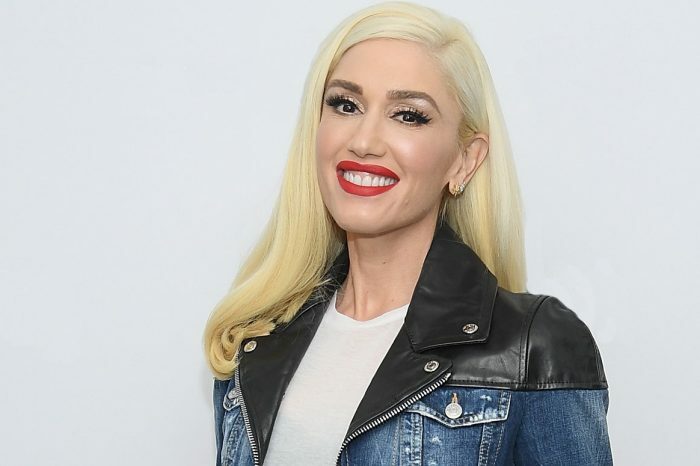 Blake Shelton Looking Forward To ‘Babysitting’ Gwen Stefani’s Kids While She’s In Las Vegas Performing! Dan Bilzerian’s macho warfighter persona was tested in Las Vegas and he failed miserably. He ran away, didn’t help anyone, and probably wet his pants. Typical Chickenhawk.